Today is day 6 of the 28 day home chemotherapy course and everything is going great. Friday, April 26th was day one. We went to the hospital at noon. After she was examined and her broviac central line dressing change was done, she sat in a chair while the IV chemotherapy drugs Ara-C and Cyclophosphamide were given. She also got her monthly IV dose of Pentamidine, which is used as a prophylactic antimicrobial medication given to prevent Pneumocystis pneumonia caused by having a depressed immune system. We were then handed the schedule of the chemotherapy she would be getting over the next 28 days. The three days following clinic she received Ara-C at home. Each night for two weeks she takes one oral chemo drug called 6MP. This coming weekend she will again get Ara-C for four days straight. On Friday when she goes in for a checkup, she will also have a lumbar puncture with chemo injected into her spinal fluid. 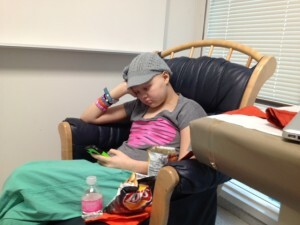 After two weeks, Ashtyn will then only have chemo on Fridays at clinic. She will get a chemotherapy called PEG on the 3rd Friday and Vincristine on the 3rd and 4th Friday. On May 24th she’ll get a bone marrow aspirate to confirm the cancer is still gone and progress towards the bone marrow transplant. The research that has been done to come up with cancer regimens is astonishing. Each morning I wake up wondering how she is going to feel that day. So far she has continued to do very well. It has been a joy seeing her with health and strength that allows her true personality to shine. Though she is often in bed, she is so animated and fun to be around. Thank you for your continual prayers. Have I given you the impression that I’m always calm? If I have, it’s not true. I do freak out. It doesn’t last long but it does happen. Things have scared me much more lately than they did at the beginning. Wednesday I took Ashtyn to lunch at Blue Lemon with a friend and her cousin McKenzie. When we were ready to leave, Ashtyn and McKenzie walked to the fountain machine for refills. As Ashtyn lifted her cup to refill it, her vision became blurry. She lost all strength and dropped her cup spilling the ice on the floor. She then leaned on McKenzie for support because her legs were too weak to stand alone. I rushed to Ashtyn and automatically wrapped my arms around her back preparing for her to fall. Her legs trembled and jerked for several seconds. Gradually she regained strength and was fine. Was I inwardly freaking out? You bet. I’ve been with her before when her blood pressure drops. 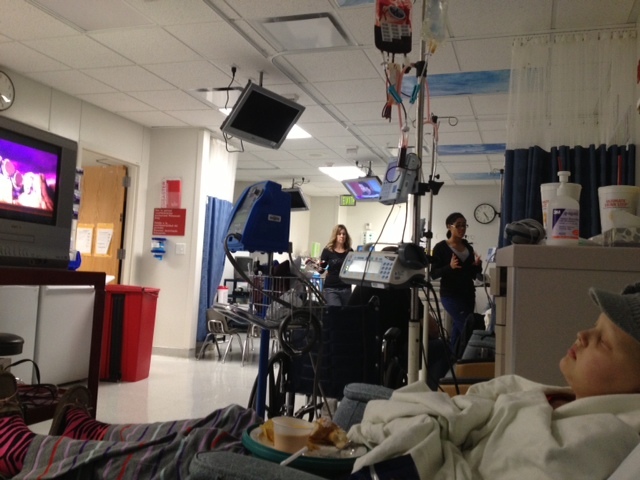 She has gone to the ICU three times because of blood pressure problems. There is nothing that makes me more nervous than abnormal blood pressures. Once she felt normal again and I could relax, I noticed my hands were shaking and I was freezing cold. Apparently that’s how my body responds to intense sudden fear. When I got home I checked her blood pressure. It was normal. I called the hospital and informed them of what happened. They advised that I keep an eye on her. Their concern was minimal because her blood pressure was back to normal. I was then calm. Thursday morning when I got up to go to the gym, Ashtyn surprisingly woke up. She asked me if her central line looked ok. It didn’t. There was a build up of pus around the insertion site. I called the hospital oncology clinic and was told a nurse would call me back. I had a pit of worry in my stomach. I have seen Ashtyn get sick enough to know that it’s not a path I enjoy going down. I quickly dressed, did my hair, and got ready for the day. After 30 minutes of not hearing from a nurse, I called the clinic back informing them that I was bringing Ashtyn in. “You can’t just walk in. Let me get a nurse on the line. 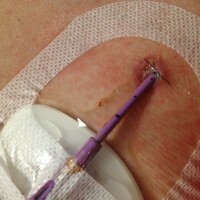 Hold please.” I explained to the nurse the pus and appearance of the incision site. She put me on hold so she could talk with a doctor. It didn’t take long before she was back on the phone, “The doctor would like you to come in. Would an hour be too soon for you to get here?” Pleased with their decision I said, “I can leave right now. I will be there in 20 minutes.” I was anxious to get her to the hospital to start treating the infection. Once there, they changed her central line dressing, cleaned the site, and took a good look at it. They also cultured the site and did blood cultures to see if the infection had gotten into the blood stream. A complete blood count test was also done that showed, after a week of chemo, her white blood cell and red blood cell counts were dropping. 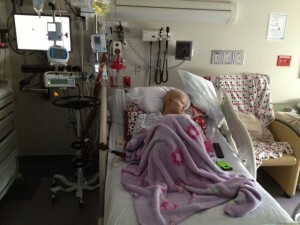 Ashtyn was already scheduled to go to clinic the next day so the doctor ordered two units of blood to be given Friday. She was given an IV dose of antibiotics and I filled an antibiotic prescription for home. After 3 ½ hours, we headed home. Ashtyn was then sent to the Rapid Treatment Unit operating room where she was put to sleep for a lumbar puncture to inject chemo into her spinal fluid. I felt calm. We then went back to the clinic and a second blood transfusion was started. Everything went well and after seven hours in the hospital, we went home. I was so proud of Ashtyn for her bravery and strength. Erik, a close friend from years ago commented on my facebook, “Rough day…Keep going. You can do it! You too Suz…Keep going. Everyone is rooting for you and willing to help when you need it.” I was grateful for that comment. I really needed those encouraging words. I need to stay strong and keep going for Ashtyn. Saturday I again noticed that I wasn’t as calm as I had been in previous months. Where was my peace? I knew I needed to go to the temple. Ashtyn’s home health nurse was visiting in an hour to do a dressing change because pus was still coming out of her central line. Ashtyn asked if I could stay and be there for the dressing change. I explained that I really needed to go to the temple but her dad was there to help her through it. I went to the L.D.S Jordan River Temple. Once in the temple, I walked into the chapel and immediately saw my bishop I had a year ago. He is a man I greatly admire for his inspiration, faith, humility, charity, and daily commitment to be an instrument in God’s hands. He and I have had wonderful talks in the past. He has followed Ashtyn’s progress and has visited us at the hospital a couple times. I approached him and the love in his eyes was clear. We only sat and talked for a few minutes. He asked how Ashtyn was. I explained that she was doing good however after three months, I now felt fear. He had a Book of Mormon in his hands with the pages opened. He immediately handed it to me and told me to read what apparently he had just been reading. With tears in my eyes I began to read. This is what I read, likening it unto me: “Never had I seen so great courage. They said unto me: Our God is with us, and he will not suffer that we should fall. Now they never had fought, yet they did not fear death; and they did think more upon the liberty of their fathers than they did upon their lives. They did not doubt, God would deliver them.” Alma 56:45-47. After reading the verses, Bishop Oswald and I went our separate ways, however I thought about our interaction for the next several hours. I had told him I was in the temple on a Saturday afternoon wanting to feel comfort, peace,and strength. He mentioned he went to the temple because God is his companion, he needs that connection. The tender mercy of having a man I thoroughly look up to, who knows me well, in the temple with his scriptures open to a verse for me was a reminder that God is aware of me and my needs. My courage was restored. The verses reminded me to not doubt. I was also reminded that the greatest strength comes when God is my companion. When I left the temple I checked my phone and listened to a voicemail from the hospital. The home health nurse talked to the oncologist at the hospital about Ashtyn’s central line infection. The message was for me to bring Ashtyn to the ER so they could start a strong IV antibiotic. They suggested I pack an overnight bag in case she needed to be admitted. I rushed home, quickly packed up a couple small suitcases, and was off to the hospital. I felt complete comfort, peace, and strength. I was able to be what Ashtyn needed me to be. When we walked into the school, she was warmly greeted by the front desk workers and the principal. We then made our way to her classroom. The kids were shocked and delighted to see her as she walked in. 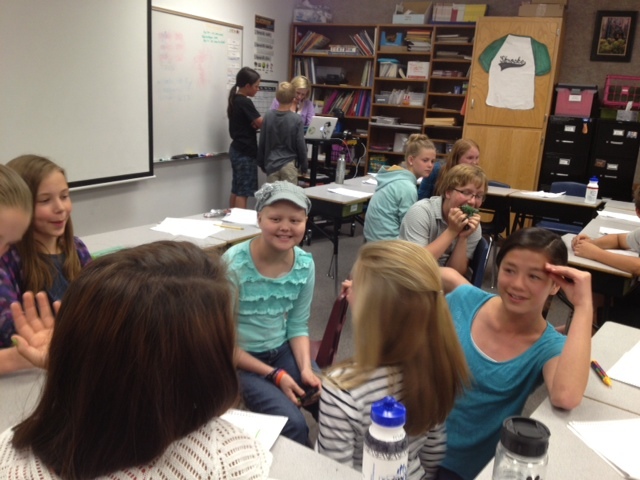 All the kids stayed in their seats while Ashtyn was directed by her teacher to sit at the front of the class. 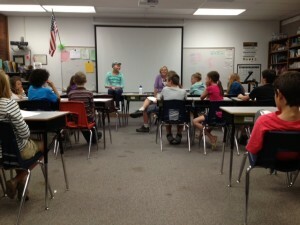 Once situated I told the kids that they could ask Ashtyn any questions they wanted. She wasn’t. 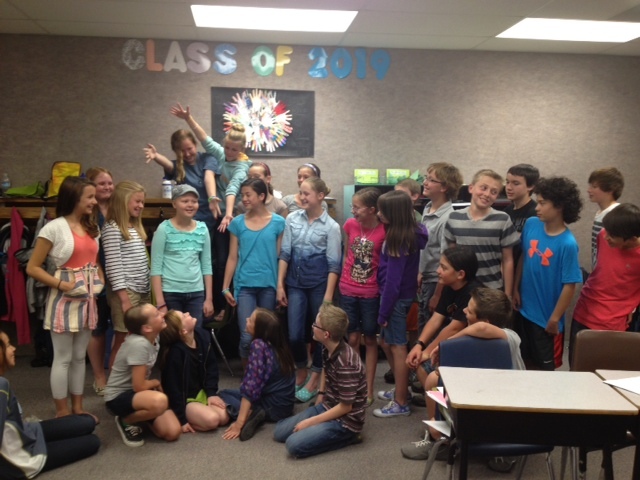 At 2:30 p.m. it was time for the class to go to science so they said their goodbyes. Ashtyn walked to the car. She was happy and exhausted. What a wonderful opportunity Mrs. Skrocke gave Ashtyn. I am so touched and impressed by the love and support Ashtyn receives from her classmates, parents, and the staff at Canyonview. In addition to all the help we receive from neighbors and friends, Canyonview parents volunteer and bring us meals once a week. We receive such kind support and love through messages, banners, and greetings. It has been phenomenal. It feels like we are all in this together. Ashtyn has been home for almost five weeks and it has been wonderful. I can’t complain. It has been quite uneventful. What does she do all day? Normally, she doesn’t do much. She sleeps in, eats lunch, and relaxes in bed. In the evening she’ll usually sit on the couch and watch a few episodes of Chopped. Sometimes she will walk up and down the stairs for exercise, play the piano, hang out with her siblings playing Rock Band, and make funny jokes with her pre-teen attitude. Sunday she went to my moms for our Mother’s Day BBQ. She is living a mellow life. Friday we went to the hospital for her normal check up. On our way there we picked up two small pork salads at Costa Vida. Once settled in the clinic room, we opened our salads and began eating lunch but soon lost our appetites. Within a few minutes the doctor and bone marrow transplant coordinator walked in. Greetings were exchanged. I was then handed the pre-transplant schedule and plans were discussed on what to expect in the next couple of weeks. 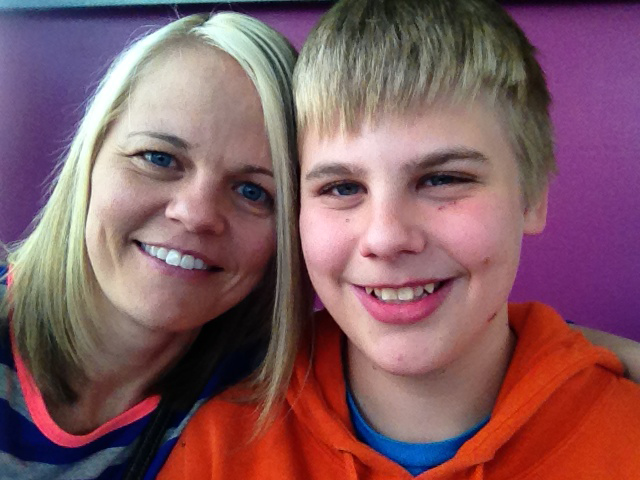 Friday May 17th: 11:30 a.m. Chandler gets his lab work done with a medical history and physical examination. 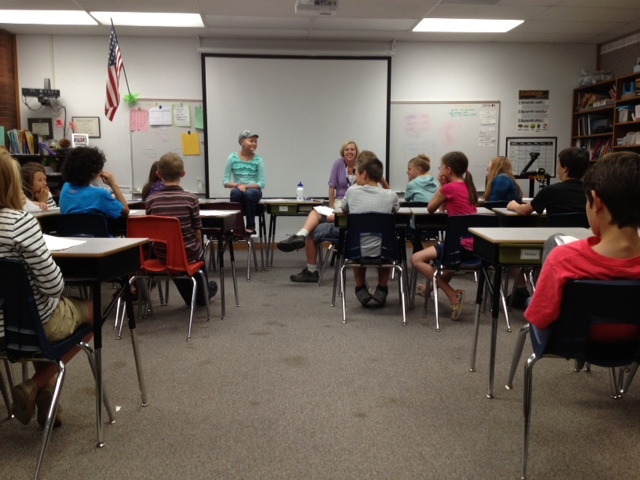 He’ll also meet with a child life representative and have a conference with the bone marrow transplant doctor. 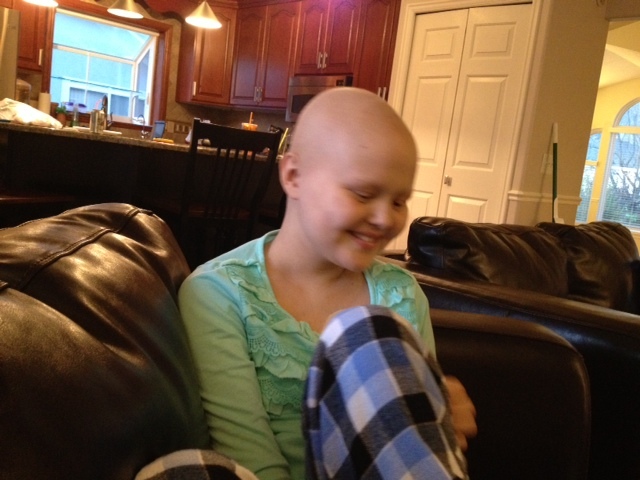 Ashtyn will go to clinic for labs and chemo. Monday May 20th: 9 a.m. Ashtyn will have a four hour neuropsychological evaluation followed by a pulmonary function test. Tuesday May 21st: 8:30 a.m. Ashtyn and I will go to Huntsman Cancer Institute for a radiation consult and planning session. 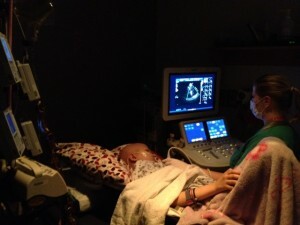 Thursday the 23rd: 10 a.m. Ashtyn has a chest, abdomen, and pelvis CT scan scheduled. Afterwards she will have a heart Echo and EKG done, followed by a hearing test. Friday the 24th: A bone marrow aspirate and biopsy will be done as well as a lumbar puncture with chemo. Tuesday May 28th: 9 a.m.- 3 p.m. We will be educated every 30 minutes by different health care teams including physical therapy, nursing, dietary, pulmonary, social work, child life, and finance. We will also have a family conference with the bone marrow transplant doctors. Wednesday May 29th- June 1st: Ashtyn will have radiation twice a day for four days. She will be admitted into the hospital around that time. 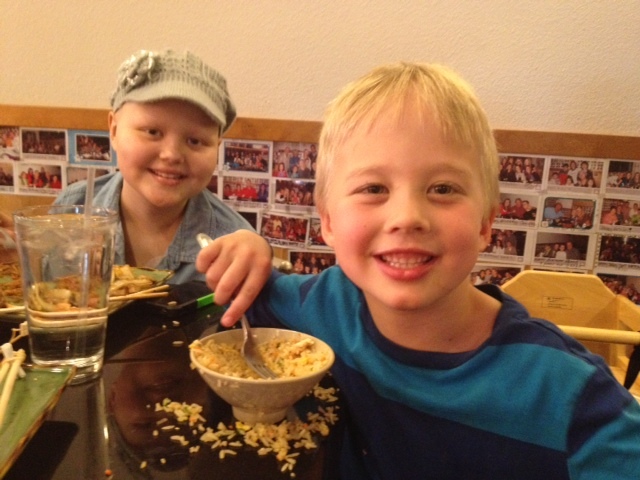 Chandler will donate his bone marrow around June 5th, the same day Ashtyn will receive it. Ashtyn is expected to be in the hospital about two months as her body accepts Chandler’s bone marrow and successfully produces a functional, cancer free immune system. 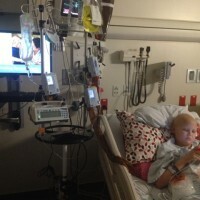 They also mentioned that surgery will be scheduled before the transplant for Ashtyn to get a new broviac central line. Because the current central line has recently been infected, they want to pull it out and place a new one to not risk going into a transplant with any type of infection or inflammation. All that information was presented in about five minutes. Ashtyn began to cry with the disappointment and fear of the pain that is associated with a new central line placement. She no longer could eat her lunch. Simultaneously I was filled with emotions as I faced the reality that the transplant was at our doorstep. By the look on my face the doctor knew exactly what I was thinking. “It’s feeling real now that you have the schedule.” It was as if I am facing the monster of all monsters, the Goliath of medical procedures. I couldn’t help but feel nervous. There are negative things that could be dwelt upon, however the positives must be in the forefront. Ashtyn is greatly blessed to be clear of cancer enabling her the chance to have a bone marrow transplant so soon, or at all. Having Chandler as a matched sibling donor brings comfort. 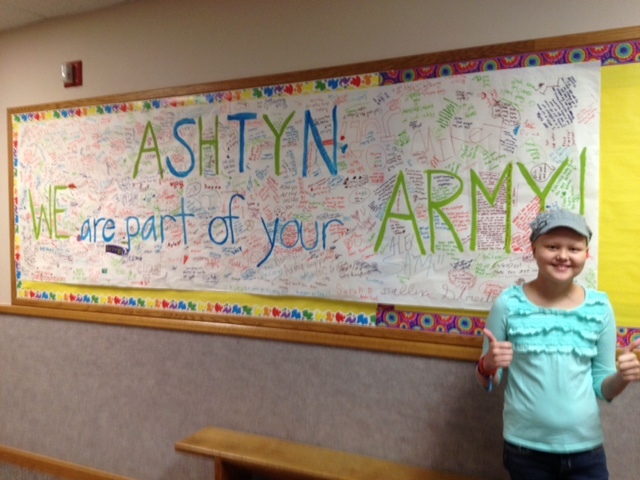 The faith and strength of Ashtyn’s Army has been and will continue to be an incredible blessing. Ashtyn has an excellent team of doctors and nurses caring for her and coordinating the transplant. Most importantly, we have the faith that God is watching over her. Nothing is better than that. CHANDLER (14 years old): When my mom and Ashtyn are in the hospital, I don’t get to see them as much. I don’t like it. It feels like there is an emptiness. It feels different. You can tell someone’s not there. The family’s not whole. Sometimes I can tell a difference even when I’m not thinking about them being gone. It’s sad not having my mom and Ashtyn around. I just try to ignore it and play XBOX. 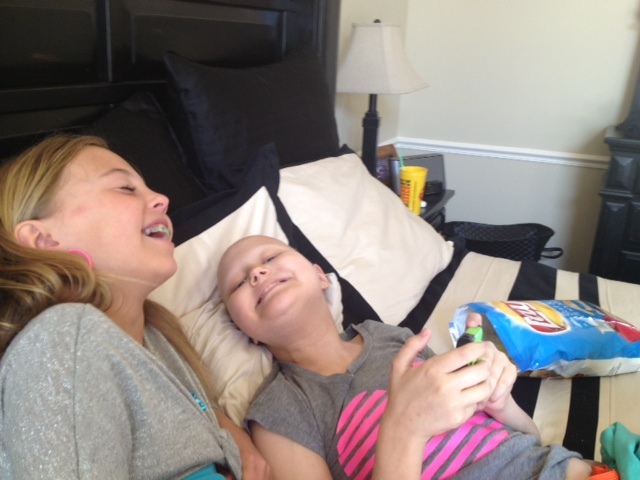 It feels really weird that Ashtyn has cancer. I didn’t expect it. I never thought it would happen. Some people have cancer that runs in their family but no one in my family has had it. It’s really weird. It has affected my school year pretty bad. My grades have suffered. I don’t have my mom to help me. I have felt sad and depressed and have not wanted to do homework. I’m just really sick of school. When my mom is home it seems like things are almost back to normal. It feels good having them home. Our family feels whole when they are home. I miss my mom and sister most of the time but I’m spiritually stronger. I rely more on God now for help with everything. My prayers are more meaningful. I know God can do anything. I pray for help to get through this. He is blessing me to have strength. I feel better because of Him. He comforts me. I don’t freak out when there are trials. I’m calm about it. I have been blessed with comfort. When I don’t feel comfort I pray and then I feel better. I don’t worry about Ashtyn cause I know she can do it. I’ve always known everything will be alright. I’m glad to be the bone marrow donor. I’m happy to do it. I don’t know why people say it’s brave of me because it’s not a big deal. In my perspective, even though I don’t know much about it, anyone should be able to do it. Life with cancer is different. I think it will change my life in the future but I don’t know how. 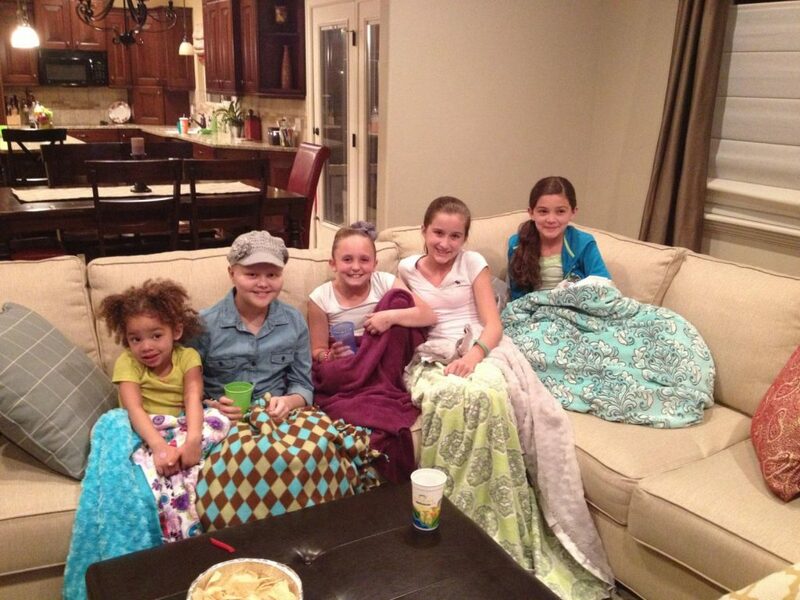 MORGAN (10 years old): When I first heard that Ashtyn had cancer my mind was blank and my heart dropped. I didn’t know what was going to happen. Ashtyn and my mom were in the hospital. I wasn’t used to my mom and sister being gone. I didn’t see them for a long time. I really missed my mom not kissing me goodnight or taking me to school. I really missed Ashtyn. I thought about her all the time. I wanted to see her really really bad. I asked her to Facetime me but she didn’t want to. I didn’t understand why. I now understand that she missed me too much and didn’t want to be reminded of home. She didn’t want to think about the outside world because it was too painful. It must have been harder for her than it was for me because I was home and she wasn’t When we used to fight it was a waste of time. I shouldn’t have fought with her. I’ve been thinking about her needs more. When she asks me to get her water or food it gives me the opportunity to help her in any way I can. I am trying to help. I really like serving her. 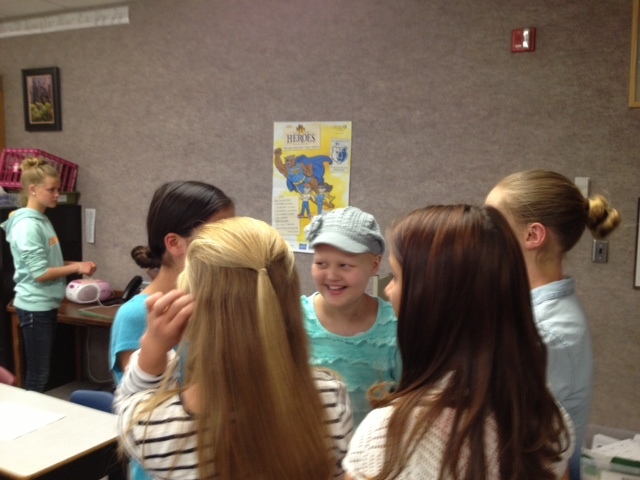 When Ashtyn got cancer everyone at school would ask me how she was. On the first day I went to school, one girl kept crying and bawling. Everyone kept asking me if I thought Ashtyn would live. It was weird. I don’t know why they would ask that because I’ve always had faith that she’ll be OK.
I’m glad my mom and Ashtyn get to be home for awhile. I like knowing that when I come home from school I am coming home to them. I like that I get to see them everyday. I like having my mom in the house. I like that she can say goodnight to me every night. During this trial I have been keeping my faith, reading my scriptures, and praying every night. I’ve been feeling the Spirit more and connecting to God more. I’ve been thinking about the song “If the Savior stood beside me.” If the Savior was in every room that I am in or anywhere that I am, I just imagine Him standing there. What would I do? Would I do the things I do? Would I say the same things? Would I act differently? I’ve been feeling the Holy Ghost and what I should be doing. If I am laying around watching TV or something, I wonder if there is anything else I should be doing around the house instead of watching TV. I’ve been doing better in life spiritually and physically. I’m grateful that nothing really really bad has happened to Ashtyn. Really bad things could have happened to her, and they haven’t. I am grateful I have other siblings that I can play with when Ashtyn doesn’t have energy to hang out. I’m grateful for other people around us that care about our family. I feel really blessed. Cancer has helped me look at the positive things instead of the negatives. I am grateful for what I have. 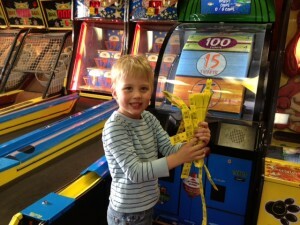 ETHAN is 6 years old. I can only imagine what he has gone through and what is in his tender heart. Being the baby of the family, he was my shadow, my buddy. I’m a stay at home mom. Wherever I went, Ethan went. I was always there in the morning to make him oatmeal and at his bedside at night to kiss him goodnight. What was it like for him to all of a sudden lose all that he grew up to know? He is a young boy that doesn’t have many words to express his thoughts and feelings. I do know he longs for one on one time with me. He made a list of activities and asks me often when we get to do the next thing on the list. His list included, Chuck E Cheese, Nicklecade, Classic Skating, Ice Skating, miniature golf, Planet Play, and the movies to watch Cloudy With a Chance of Meatballs 2. So far we have done five of the seven activities and have had a great time together. When talking about cancer and the long hospital stay, the only thing he says is, “it makes me sad.” He has never been outward with emotions when he gets hurt or is sad. Ethan has never been a crier and rarely makes a fuss. Possibly to a fault, he keeps his sadness and pain to himself. If he skins his knee, he’ll hold it, fight through the pain, and then move on. When he gets an immunization shot, he might say “ouch” and that’s about it. Though he is quiet and brave, I can see pain by just looking in his eyes. When he gets hurt physically or emotionally, his eyes cry and his face drops. Ethan has always been a boy with a constant smile and a sparkle in his eyes. When Ashtyn and I got home after two months in the hospital, I noticed his pure and bright smile wasn’t there like it once was. I could sense he was weighed down. After being home for almost five weeks, I have noticed his heart has been lightened and his carefree smile is back. While Ashtyn is the one who has to deal with the brunt of the challenge that cancer has brought, all four children are learning and growing through this experience. I am grateful for the faith and personal strength of each of my children. A couple of days ago, in the afternoon of May 16th, Ashtyn threw up after eating a small lunch… a pretzel with cheese dip. I thought it was odd. She had not thrown up or been nauseated since February when she was extremely sick with mucositis. Thankfully, her stomach has tolerated chemotherapy quite well. I was puzzled by why her stomach was not feeling well at this point. The next day she had her scheduled clinic visit at the hospital. While there I told the doctors that she had thrown up her lunch the prior day. She also attempted to drink water but was unable to keep that down either. In clinic she was given 800 ml of IV fluids to rehydrate and was sent home with an order for me to give her 800 ml more of IV fluids during the night. Her blood work showed an elevated level of liver enzymes and bilirubin. The thought was that she had a viral stomach flu that would hopefully start getting better. She was also given a prescription for a medication that would enhance her appetite. Over the past two weeks she had lost five pounds. The threat was there that if she continued to lose weight a nasogastric tube would need to be placed into her nose down to her stomach to give supplemental calories. Of all things, Ashtyn refuses to have to deal with an NG tube and was willing to do what it took to eat the needed calories. On the way home she decided to get an In and Out Burger strawberry shake because they are packed with calories. She tried her hardest to eat it but felt extremely full and sick to her stomach. A few hours later she threw up the small amount of shake she got down. The rest of the night she didn’t attempt to eat anything other than sips of Gatorade. Throughout the evening her temperature was taken every hour. I knew something wasn’t right, I just didn’t know what it was. If there was any sign of fever, I was ready to take her to the hospital. The following morning, after giving Ashtyn her IV antibiotic and an IV dose of a medicine that helps with nausea, I left to take her sister to a birthday party. Twenty minutes later, as I was heading back home, Ashtyn called me and asked if it would be OK if she threw up. “Will they put an NG tube in if I throw up?” I reassured her and told her to throw up if that’s what she needed to do. I stayed on the phone with her as she dry heaved over and over into the bowl I had left by her bed. When she was done throwing up I was nearly home and told her I was going to call the doctor. “Ashtyn, I think you need to go to the hospital and figure out what’s wrong.” I called the hospital to speak with the on call doctor, which happened to be Ashtyn’s primary doctor she saw the day before. I explained that I felt Ashtyn was getting worse. Her stomach wasn’t handling food, water, Gatorade, or even an empty stomach. The doctor agreed that the best thing to do was for her to be in the hospital and to do tests to find out what was wrong. Of course Ashtyn was upset she had to go to the hospital. She was angry at her body. She was nervous about the unknown. I expressed my feelings that I really felt it was the right thing to do. I think she knew it too. I was told to bypass the Emergency Room and just go directly to the 4th floor oncology unit to check in. Having previously been on the oncology unit for 70 days, it feels like our second home. Walking into the unit, we received such a warm greeting from staff. They wished Ashtyn didn’t have to be in the hospital but they were so happy to see her. Her blood work showed an increase in bilirubin from the day before. Her white blood cells had dropped to practically nothing. The red blood cell count had also dropped quite a bit from the day before. Ashtyn was given IV fluids to quickly rehydrate her. She was taken down to have an ultrasound done of her liver, pancreas, gallbladder, spleen, and kidneys. The result showed gallstones in the gallbladder and at least one or more stones blocking her duct that goes from her liver and gallbladder into her intestines. It was quickly apparent that surgery must be done to remove her gallbladder. After taking the gallbladder out, the surgeon plans to flush her duct with dye and hopefully cause the stones to pass from the duct into the intestines, eliminating the blockage. If they are unable to clear the duct of the stones then another procedure would be planned in the next couple of days where a tube would be placed into the intestines and up into the duct to clear out the obstructing stones. The remainder of the evening was spent talking to the surgery nurse practitioner and attending, oncology resident and attending, techs, and nurses. What an amazing team!!! Once Ashtyn’s pain was gone she was able to socialize and feel comfort. She sprayed the tech with water from a 60 ml syringe. His retaliation got me right in my eye and face. I had to get him back. We also had a warm talk with the nurse who got tears in her eyes several times as she talked about her amazing job and the love she has for Ashtyn. We played Go Fish with a tech and said goodnight to her siblings over Facetime. Ashtyn’s grandpa and uncle visited and gave her a priesthood blessing. 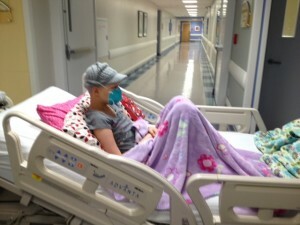 Ashtyn mentioned several times how much she loves the spirit and feeling that is at the hospital. I agree. Looking back on the day, I wouldn’t wish it away. I enjoyed being with my daughter. She enjoyed feeling the comfort of her friends on staff and seeing the support she receives on Facebook. Life really is enjoyable after pushing through the unpleasant. Gallstones are relatively uncommon in children and are not normally seen as a side effect of cancer or chemotherapy. We will never know what caused Ashtyn to get gallstones. Gallstones are small, stone-like objects that form when the liquid in the gallbladder hardens. Ashtyn’s gallbladder had quite a few stones stored. Stones in the gallbladder don’t necessarily pose a problem until they spill into the duct, get lodged, and block the flow of bile. Ashtyn had gallstones obstructing her common bile duct which caused backup of bile and a bulging duct. Ongoing blockage can damage the liver, the gallbladder, or the pancreas. Blockage can lead to infection as well. Organ damage and infection obviously can be serious problems. It was clear that the stones needed to be removed from blocking the duct and the gallbladder needed to be taken out to prevent future problems. To remove the gallbladder they used the technique called laparoscopic cholecystectomy. Vigilance would be needed to keep Ashtyn infection free since she has very few infection fighting cells. The biggest feat was for the surgeon to be able to flush the stones that were obstructing the duct. Plans were already in place for Ashtyn to go to University of Utah Hospital or Intermountain Medical Center for another procedure if the surgeons at Primary Children’s Hospital were unable to rid the duct of the stones. Ashtyn was taken to the operating room at 11 a.m.. Though Jason and I felt calm, Ashtyn was nervous. The anesthesiologist gave her a dose of versed, which helped with anxiety. She was upset that we couldn’t be by her as she fell asleep for surgery. As her bed was being pushed into the operating room, she kept looking back to make sure we were still there. During the two hour surgery Jason and I sat in her room, waiting. The OR nurse called us when the surgery was over and Ashtyn was starting to wake up. We quickly went down to the recovery room. 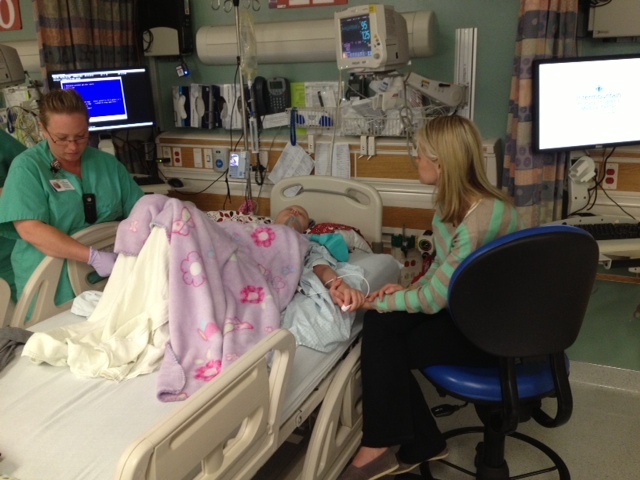 As she was waking up we talked to the two surgeons who operated on her. They informed us that the procedure went very well. The gallbladder was taken out without difficulty. Even more remarkable was that they were able to flush the stones through the duct, clearing it of the blockage. The surgeons explained that they had first attempted to flush the stones without success. The dye used only got more and more backed up. They then moved on and removed the gallbladder without a problem. Afterwards the decision was made to attempt one more time at flushing the stones out of the duct. They inserted more dye and flushed the stones successfully through the duct eliminating the blockage. No more procedures are needed. The remainder of the day Ashtyn was pretty miserable. The pain was more than anticipated even with regular doses of morphine. She was fairly tearful feeling crummy with incisional pain, shoulder pain, and nausea. With each day the pain will lessen. Chandler, Morgan, and Ethan came to the hospital to visit. Ashtyn didn’t feel well enough to socialize with them, however I was able to read them two picture books and say nightly prayers before they headed home for bed. Earlier in the morning Ashtyn’s oncologists told us that they were very pleased with which surgeons were on call over the weekend. They were thrilled that one of the best surgeons at Primary Children’s Hospital would be operating on Ashtyn. She is a “high risk” patient and needed the best. During the procedure, I am grateful the surgeons decided to try one last time to clear the stones that were causing the blockage in the duct. The success saved Ashtyn another procedure that would have taken place in a couple days, prolonging recovery and increasing the risk of infection. I am grateful her gallstones were discovered now rather than in a few weeks when she will be battling the bone marrow transplant. The complication of a blocked bile duct during the transplant and facing a surgery more immunocompromised than she currently is would have been a huge risk. Ashtyn could have been much worse off had her liver or gallbladder been infected or if she had gone on too long without medical intervention. God’s tender mercies are obvious. I would say for the two days following surgery, Ashtyn has felt lousy. She is given Morphine and Oxycodone to help with her abdominal pain. She spends her day in bed moving as little as possible. Of course it is the most painful when she has to walk. Every three hours she gets out of bed and painfully walks slowly down the hall, wearing a thick mask, using her IV pole as a walker. Once back in bed she quietly rests or sleeps with very little emotion. She’s worn out. Not only does Ashtyn not have energy, she also doesn’t have an appetite. She has struggled with eating enough calories for over a month. It was finally apparent that it would be in her best interest to get a nasogastric tube. An NG tube is placed into her nose, down her throat and esophagus, and into her stomach. With liquid food and a pump, Ashtyn can be given 100% of the nutrients needed to build her body up for the stresses that are before her. If she feels like eating, she can. If she doesn’t feel up to eating, she doesn’t have to. The food given through the tube can be increased or decreased, compensating for whatever she chooses to eat. From now on she won’t have to stress about forcing herself to eat. The bad part was, she had to get the tube placed. That was one procedure she has always feared. After some discussions and pep talk, the time had come to get it done. She was given some medicine for anxiety but still laid in bed with fear. I climbed in bed with her. “Ashtyn, you can do this. Ten seconds of bravery, that’s it. You can do anything for ten seconds.” The nurse then placed the tube in her nose and tried to advance it down the throat. It didn’t take 10 seconds, it took a lot longer. The tube wouldn’t advance down. Another nurse was brought in to try. With tears running down her face, she allowed the nurse to put the tube in her nose. He quickly advanced it down her throat as he directed her to swallow. She was brave and cooperative. Her gag response kicked in. Once the tube was in the stomach she threw up several times on her gown and all over the nurse’s hands and arms. The nurse didn’t even flinch having his hands bathed in her throw up. He washed his hands and announced that they were now “throw up friends.” The nurses that care for Ashtyn are truly phenomenal people. So caring. So loving. The NG tube will take a while for Ashtyn to get used to. She doesn’t like how she can feel it move inside her nose and throat. However she knows she will get used to it and it is a great comfort to both of us knowing that she’ll receive all her needed calories. Prior to the unexpected gallbladder surgery, this week’s schedule was full of outpatient hospital visits to prepare for the upcoming bone marrow transplant. We decided to get what we could done while in the hospital so Ashtyn wouldn’t have to do as many day trips to the hospital when she is home. She had an echocardiogram (cardiac echo) and an electrocardiogram (EKG) to make sure the heart is functioning properly for the transplant. She also got a CT scan of her chest, abdomen, and pelvis to rule out any abnormalities. The CT scan required her to have about three cups of contrast (a special dye to help highlight the areas of the body being examined) in her stomach. Three cups doesn’t sound like very much liquid, but for Ashtyn who hadn’t had anything in her stomach for six days, it was a lot to ask. Luckily she already had her NG tube secured. 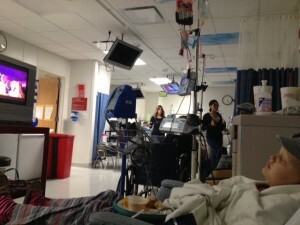 The nurse started to infuse the contrast into Ashtyn’s stomach at a rate of about one cup an hour. A little over an hour later, when Ashtyn got up to use the restroom, nausea poured over her. We did all we could to help calm her stomach so she wouldn’t throw up. The rate at which the contrast was infusing was dropped. The nurse gave her medicine to help with nausea. Ashtyn and I laid in her bed without moving as I prayed and she concentrated, mind over matter. Three hours later it was time for the CT scan. 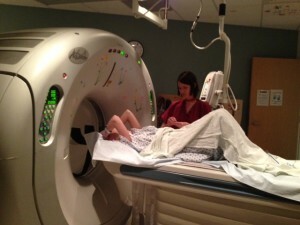 She was wheeled downstairs, laid on the CT scanner bed, and quietly got through the procedure. By 8:30 p.m. Ashtyn was back in bed with a promise that she could rest the remainder of the night. It was a tough day. Again Ashtyn amazed me with her bravery and endurance. She knows there is no point in whining or complaining. She must and is moving forward. In the post “Opposition Is Not a Bad Thing” I wrote, “In life and in cancer I have learned to ‘just go with it.’ I have to plan for the future and then roll with the punches as they come, adjust plans, adapt to the unexpected, embrace change, and face head on whatever life brings. It’s all good. Or eventually it will be.” In the more recent post, “On the door step” I wrote out the upcoming schedule leading to Ashtyn’s bone marrow transplant. With her unexpected gallbladder surgery the schedule has been changed. No biggie. We’ll just go with it. Tuesday May 28th: With the idea that Ashtyn’s bone marrow will start producing white blood cells, she will have a bone marrow aspirate and biopsy, making sure there are still no detectable cancer cells. It is absolutely imperative that there is no evidence of cancer. 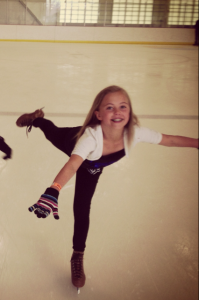 We all have abnormal cells in our marrow, however Ashtyn needs less than .01% abnormal cells. Friday May 31st: The results will be back. Saturday June 1st: The Primary Children’s Hospital KSL yearly telethon will be held at the hospital from 7 p.m.- 10 p.m. If Ashtyn feels up to going, she will. Either way KSL will broadcast a story about Ashtyn. While playing the Phillip Phillips song “Home” (which Ashtyn picked) there will be a slideshow of photos of her shown and a couple minute recording of Ashtyn telling her story. June 4th, 5th, 6th, and 7th: Ashtyn will go to the Huntsman Cancer Institute twice a day for a low dose of full body radiation, killing any remaining cancer cells as well as Ashtyn’s bone marrow. June 8th and 9th: She will be given a high dose of chemotherapy in the hospital where she will remain for nearly two months. The chemo will aid in completely destroying Ashtyn’s bone marrow and immune system. Tuesday June 11th: The bone marrow transplant will take place. Chandler’s stem cells will be infused into Ashtyn’s blood stream where they will then find their way to her bone marrow, and hopefully within 28 days engraft themselves by producing their own blood cells. A bone marrow transplant is a very complex procedure that takes the body a year to fully recover. I will soon write a post dedicated to answering all the questions of what a bone marrow transplant is. Currently Ashtyn is in the hospital recovering from her gallbladder surgery. Efforts are being made to get her to feel well enough to go home. Her surgical pain needs to get under control without using IV narcotics. We hope her stomach becomes less nauseated allowing her to handle the continuous nasogastric tube feeding without throwing up. Overall, we want her to feel relatively well. Currently she isn’t in a hurry to go home because she feels so crummy. This morning she said, “I don’t mind if I have to stay in the hospital until the bone marrow transplant.” That’s not the goal and hopefully she will feel well enough to go home soon. Her recovery is being prolonged due to the fact that she has close to no white blood cells to help in the healing process. From the last round of chemotherapy her blood counts have not recovered yet. It is suspected that her bone marrow should start producing cells in the next several days. Lab work was done to see if she had pancreatitis. Results came back showing her pancreas was fine. It was only a couple hours after I posted the Facebook message that I saw a difference in Ashtyn. Her pain was gone. She said, “I’m the most comfortable I’ve been all day.” Her stomach was calm. Since she was getting up to go to the restroom I asked if she would be willing to walk to the nurses desk and back. She complied. I walked behind her as she pushed her IV pole down the hall, past the nurses desk, down another hall, turned around, walked back the way she had come, past her room to another window, turned around, and walked back to her room. She worked up a sweat walking farther and faster than I would have ever encouraged. Once in bed she looked at Facebook and smiled at the 33 comments and 110 “likes” that accompanied the previous request for prayers. She knew those prayers were answered. At 10 p.m. she played Fish with her favorite tech and told the nurse that the infusion rate of her NG food could be increased because her stomach felt fine. Unbelievable, yet totally believable. Prayers are answered. Tender mercies are real. Here are some statistics: It has been 116 days since Ashtyn was diagnosed with leukemia. She has spent 77 days and nights in the hospital as an inpatient. She has spent 39 days at home. Of the 39 days at home, 12 were spent at the hospital for doctor’s visits and other procedures. A total of 89 days out of 116 days, Ashtyn has spent at Primary Children’s Hospital. Just off the top of my head she has had four CT scans, three heart echos, three EKG tests, an abdominal ultra sound, chest X rays, hearing test, nasal scope, central line placement, and two nasogastric tube placements. She has had two surgeries under general anesthesia; one to place a central line into her heart and one to take out her gallbladder and flush stones through her common bile duct. Seven times she has been under general anesthsia for bone marrow aspirates, biopsies, and/or chemotherapy. 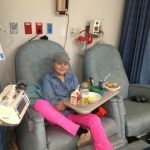 She has had more chemotherapy drugs than I have kept track of and more red blood cell and platelet transfusions than I can count. Medications have been given for sedation, anxiety, pain, fevers, mouth sores, constipation prevention, antibiotics, antivirals, antifungals, and eye drops. IV and nasogastric tube nutrition have been given. She has lost her hair, lost her appetite, thrown up bile, thrown up blood, thrown up food, had nose bleeds, nausea, mouth pain, throat pain, leg pain, back pain, stomach pain, central line surgery pain, gallbladder surgery pain, central line infection, blood transfusion reactions, C-Diff, a full body rash, weak legs, had multiple IV starts and lab draws. There have been times she has had low blood pressures, high blood pressures, high temperatures, high heart rates, and low heart rates. She has had one “rapid response” with a severe low blood pressure and two “code blues” losing consciousness, all three requiring her to spend time in the pediatric intensive care unit. She has dealt with the isolation that comes from being immnocompromised and unable to socialize how she loves to do. That’s just the beginning and doesn’t include the many daily rituals that have become part of her life as she battles cancer. Yesterday I realized that her emotional well-being was affecting her physical comfort. I realized that Ashtyn was emotionally down. Even at home she had mentioned that she was worn out and didn’t think she had it in her to go through as much as she used to. With those feelings, she had to get her gallbladder out because of random stones, got a stomach virus, and has experienced pain and nausea for eleven days. She is physically and emotionally spent. A few hours after my realization, the doctor visited us in her room. The first thing he said was, “I thought about Ashtyn last night and this morning. I believe she doesn’t feel well and is experiencing a great deal of nausea. Along with not feeling well physically, I don’t think she is feeling well emotionally. I can’t blame her. She has been through a lot and has every reason to feel this way. I wouldn’t like to be sick to my stomach for as long as she has, and I haven’t been through all the other things she has gone through. Physical and emotional wellness is connected. Emotional wellness will help her recover physically.” I responded, “You and I woke up on the same wavelength this morning. I totally agree.” Team effort is now being implemented to try and help her feel both physically and emotionally well. Ashtyn has received many words of encouragement in the last several months such as, “keep fighting” and “don’t give up.” Up until this week, she didn’t understand what those phrases meant. Because she never has had a large group of people rally around her, she didn’t fully understand the concept of having others cheer for her with such amazing support. Her thoughts previously went along the lines of, “Keep fighting? Don’t give up? It’s either fight or die. Of course I won’t give up cause I don’t want to die. How do I keep fighting anyway? I just do what I have to do and what the doctors tell me to do.” After this week, she now interprets those phrases differently and understands on a deeper level why people are on the sidelines cheering for her. She understands more fully the rejuvenating strength that comes from having family, friends, neighbors, and strangers rallying around her. “Ashtyn, do you now understand what it means to keep fighting?” She does. It will take a little more time for her stomach virus to go away. It will also take some time for her to build back up her inner emotional strength that has been so valiantly and courageously used the past four months. With help from God and her Army, she will build back her strength within and fight on. Everyone uses emotional energy to get through trials. Along with that, everyone needs to emotionally refuel and rejuvenate allowing us to press forward. Thank you for helping Ashtyn replenish her fight within.